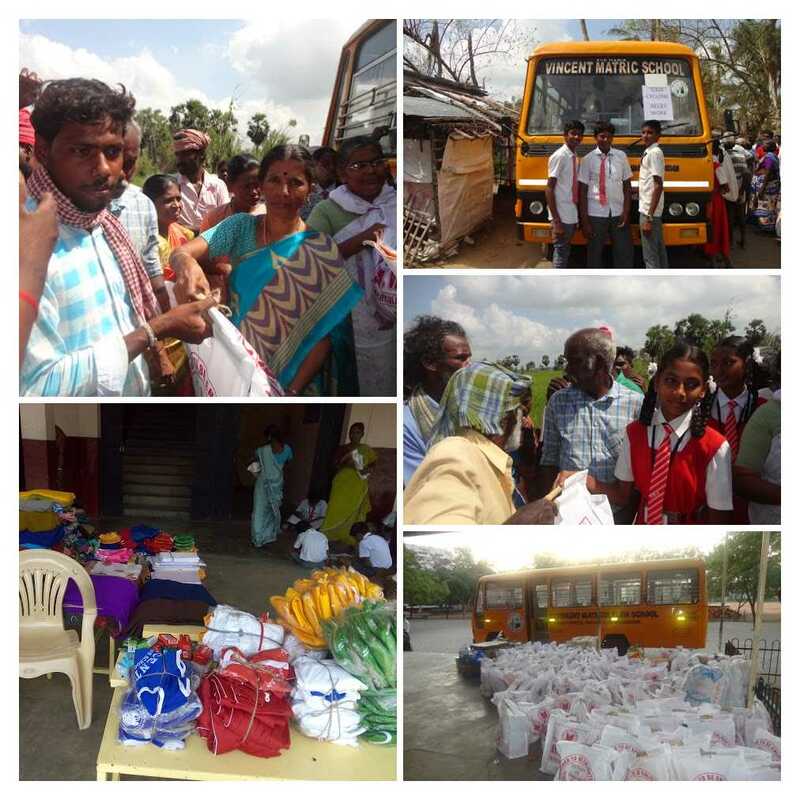 Sisters, staff, and students of St. Vincent Matriculation School in Trichy visited the victims of the Gaja cyclone. The cyclone induced high-velocity winds of about 75 miles per hour, which caused massive damage in Tamil Nadu and parts of Puducherry. Over 60 people have died. 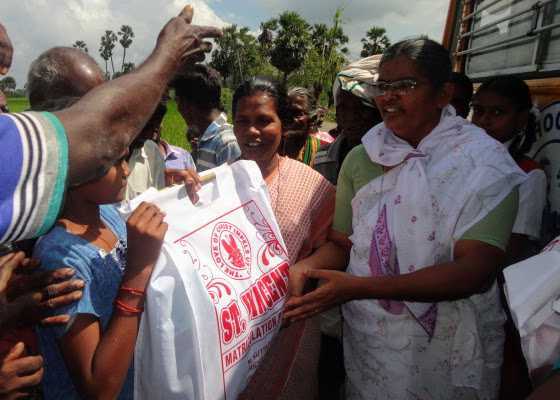 They distributed essential commodities to a badly affected village in Tanjore District. The people were very happy becasue the Sisters were the first group to reach their village after 16 days. The students and parents were very generous in contributing many thingsfor the viticms of Gaja cyclone. I could almost feel the force of those winds. Thank you for all that you did for the people affected.